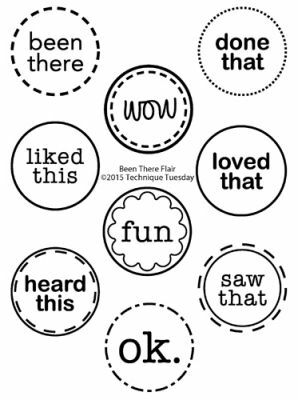 This set of Acrylic Stamps are just what you need to document "been there done that" events & memories. Acrylic Stamp Block is NOT included. Stamp Set by Technique Tuesday.